If you're like me who loves giving Christmas cheers by giving treats to people beyond family and close friends, but don't have an idea what to give, then this is for you. If you've been following my blog, I wrote about giving pastries as a gift to family and friends to show them they are thought of this season. You may bake if you have time, but if you're busy working mom like me, one of the best solutions is to head over a Goldilocks Bake Shop for those treats that will surely give a lot of Christmas cheers! 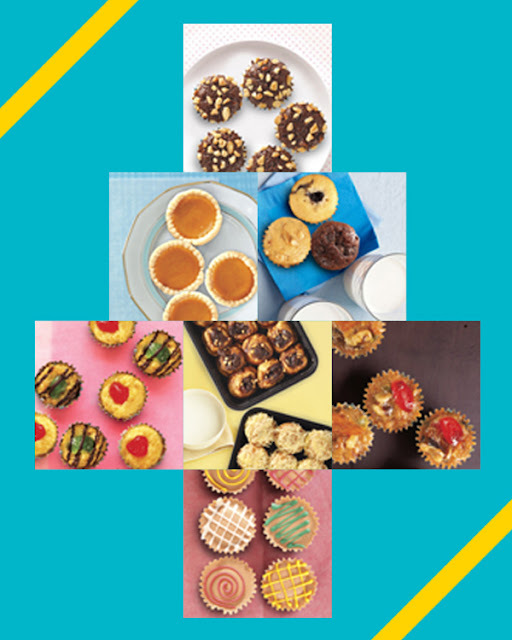 You can perfectly express your Christmas cheer to your loved ones in the Season’s Best-themed Greeting cake or like myself, you could also go practical and creative by arranging a pasty bouquet using Cherry Macaroons, Muffin Bites, Fruit Cake Bites, Brownie Bites, and Caramel tarts for your officemates, colleagues, and friends. You may also show your thoughtful and sweet side by giving gifts of fluffy Ensaymada and yummy Cinnamon Hugs for an ultimate Christmas Cheer! For your Noche Buena, make Goldilocks' limited edition Chocolate PB Banana Supreme Specialty Cake by JudyAnn Santos-Agoncillo the center of your feast's attention. Of course, it is also good to have a plate of Caramel Crunch Polvoron on hand for unexpected guests such as your peace-loving neighbors or the cute Christmas carolers. Celebrating Christmas with Goldilocks has been, and continues to be, a sweet affair. Sure we love the Christmas rush, so anytime you're on your way home, why not visit the Goldilocks store nearest you today for your taste of holiday cheer. Too busy to even go out? No worries, browse through Goldilocks website to choose from their menu of products and call 888-1-999 Go-Delivery! love Goldilocks! I always ask my sister to send me some Goldilocks polvoron here in Dubai and also the reason why I always have an excess baggage. :-) Do the bitbit!